............................ Curse you, flappydaffy ! They're all so very beautiful! So, while you have the camera out, snap some pics of that Typhoon as well, please! 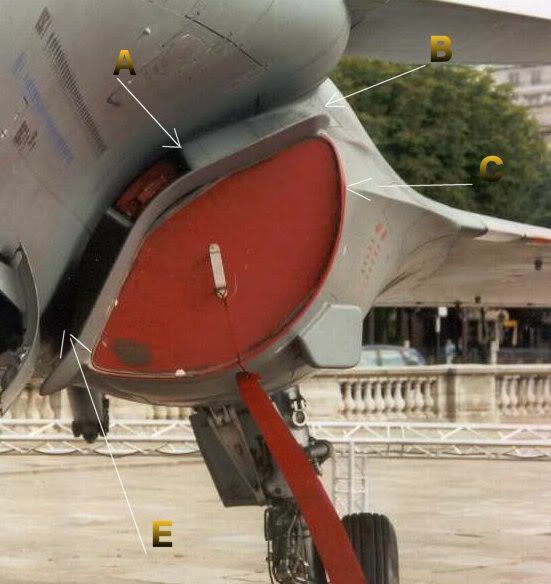 Alternatively we could simply put FOD guards on them ! Superb paint jobs - what an entrance! Yikes that's some nice stuff there. Where did you get the airbrush that you can program to spray on a "digital camo" pattern like that?? HOW THE 'ELL DID YOU DO THAT??? I scanned the pattern and found ONE that repeated (circled). So did you do all those by individual stencil, by hand, or decal??? Either way, what a triumph of paintwork!! 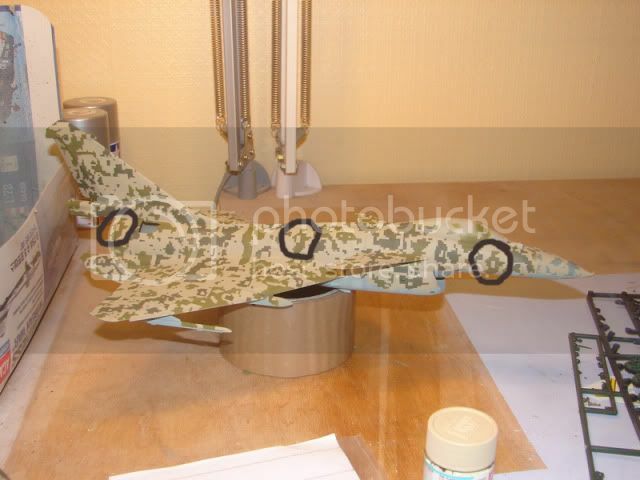 the technique I used is quitte simple but very very very time consuming, it took me 3 weeks to get the airplane ready for the spraying. I just searched the internet for a digital pattern, found one that repeated itself so I could collate them to obtain a bigger pattern, the I printed it on some sticker paper, put some masking tape on my cutting mat, took my best knife, and a few headaches later, voila ! This would also look great as a camo scheme on its own.